Add greater functionality to your antique or industrial modern bathroom alike with this Industrial Pipe Towel Bar Fixture Set by Pipe Decor. 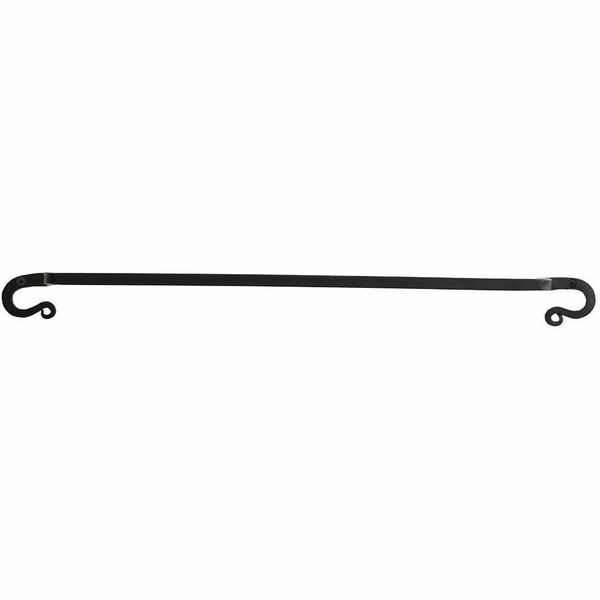 The towel rack looks like an exposed pipe and has been given a stark black finish and easily mounts to any wall. Sturdy solid wrought iron-not wire! 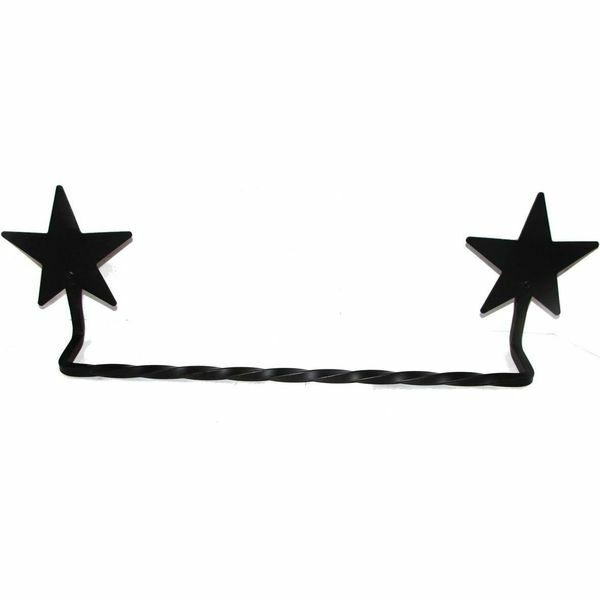 Prepare to party like it’s 1699, with this homely new Amish made wrought iron towel rack. It’s no hype, folks, this here beauty really does come straight from the Amish paradise of Lancaster, Pa. Yep, the folks with pointy beards who ride the buggies. This towel rack is not only ornamental, but fully functional. Its sweet starry design will bring a touch of the scenic green Lancaster valley to your home. A portion of the royalties from this purchase will go straight back to the Amish country (we’re guessing), so support your local artisan! With its beautiful curves, dark finish and sturdy iron body, the Small Adirondack Towel Rack combines all of the functionality, beauty and strength you expect from a towel rack and can hold towels of various sizes with ease. The rack is small enough to fit effortlessly into smaller bathroom spaces. 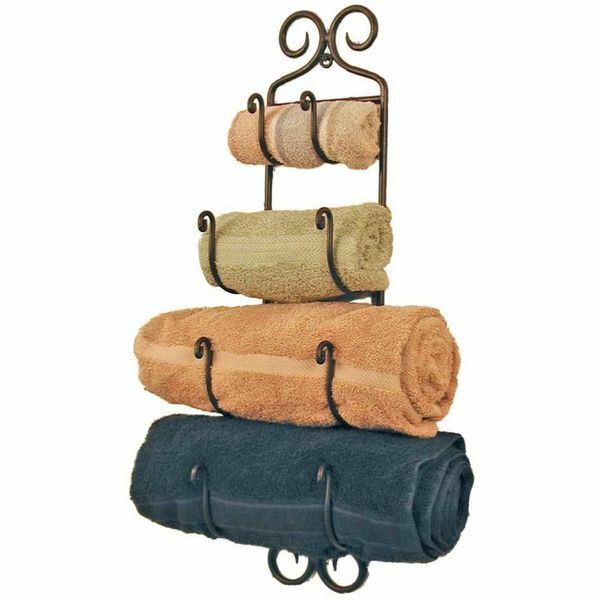 Another of our classic, retro-styled, wrought iron towel rack designs, the IMAX quilt/towel rack is a real beauty to behold. Rest assured, its classic black finish and 19th century design will bring an air of quiet, timeless dignity to your home, but without making it look “ancient”! Who says a touch of class inevitably ends in dating or aging oneself? Philistines, that’s who, and Philistines don’t own fine homes and classic retro furnishings. We know who’s boss! If, however, you’re looking for something that takes up a bit less space than something as extravagant as this, then we’d suggest you head on over to our door hinge towel racks page and see what we have there. 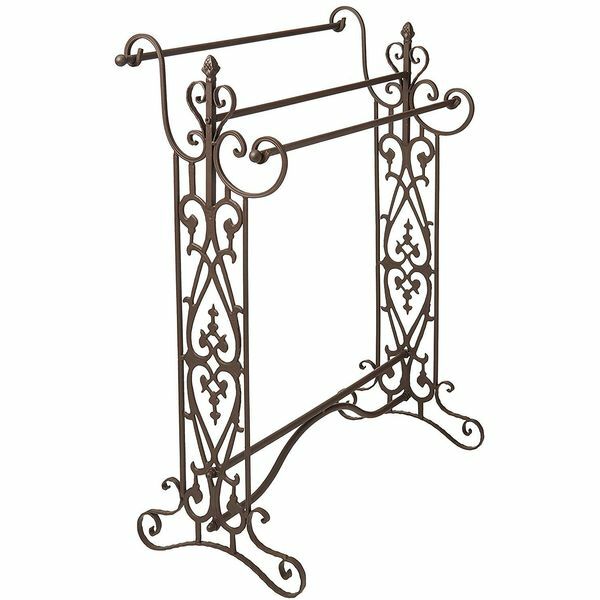 Made from authentic iron and designed to effortlessly fit into any antique or traditional bathroom, the Marie Décor Blacksmith Handmade Wall Mounted Wrought Iron Towel Holder is every bit as strong as it is beautiful. The piece measures 21 inches in length by 2 inches in width and sits out 3 inches from the wall. 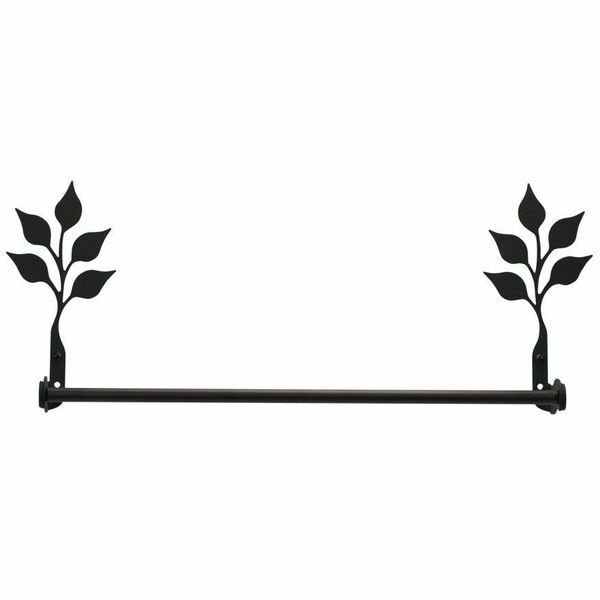 It’s a 24 inch wrought iron towel rack with leaves on either end. It’s black. You hang towels off of it. Not much to add. Some people simply prefer this type of Spartan, basic black, industrial design. It does pretty much what you’d expect it to. No more, no less. The leaves are a nice touch, which keeps things from being too nondescript. At least, if you get bored, you can have a nice chuckle at the people who manufactured this item and thought a couple of black leaves would look good on either end of it. What will they think of next?